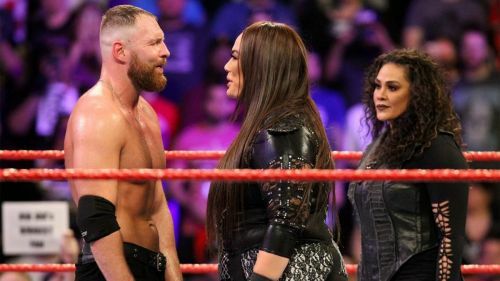 This week's edition of WWE Monday Night RAW (28th January 2019) saw a lot of contrasting moments. Right from Becky Lynch and Ronda Rousey indulging in a war of words to Seth Rollins indirectly confirming his WrestleMania match against Brock Lesnar, last night's episode had it all. Surely, there were a lot of eventful segments that made the episode quite newsworthy, even if it lacked in several important aspects and chose to solely focus on selective plotlines following Royal Rumble. #3 Is Kurt Angle's current arc all about a veteran who can't keep up with current talent? What are your thoughts on Kurt Angle's recent matches? Putting over young talent is a separate conversation because in this case, it seems as if Kurt Angle is doing a lot more than making newer wrestlers look good. 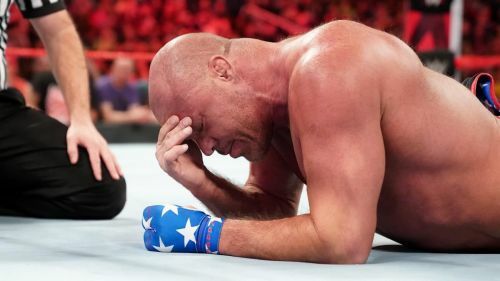 After being humiliated by Drew McIntyre last year, Kurt Angle had a relatively underwhelming showing at the 2019 Men's Royal Rumble Match. Not only that, Angle also lost a match against Baron Corbin out of all people on last night's episode. Moreover, Angle's loss was quite disappointing given the fact that he had to undersell his own worth by staying down for a three count after Corbin's Deep Six, which is a great move, but not his finisher. Angle looked quite weak when Corbin didn't even have to use his own finisher (End of Days) to defeat an Olympic Gold Medallist. Perhaps Kurt Angle has entered a phase in his career where he is being booked as a veteran who can't keep up with younger talent.